Looking for things to do in Maui with kids? From exploring a (dormant) volcano to petting goats to whale watching, here are the top things to do on your next family vacation. 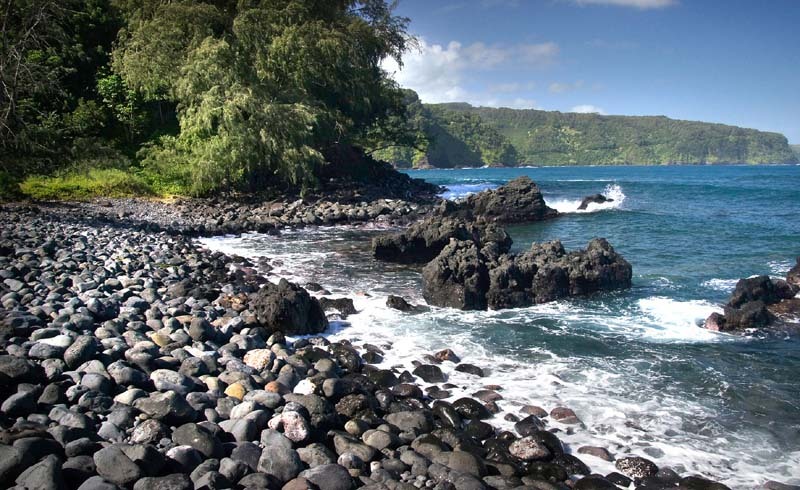 With 120 miles of shoreline and 80 beaches in hues ranging from eggshell to ebony, there would be plenty for families to love about Maui, even if you didn’t factor in the fascinating volcanic crater at Haleakala National Park. 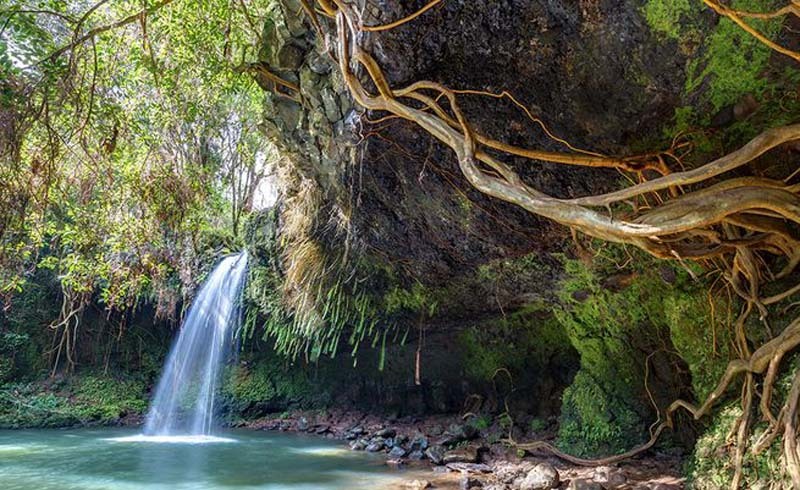 Here are nine fun-filled ways for your family to say Aloha to Maui. 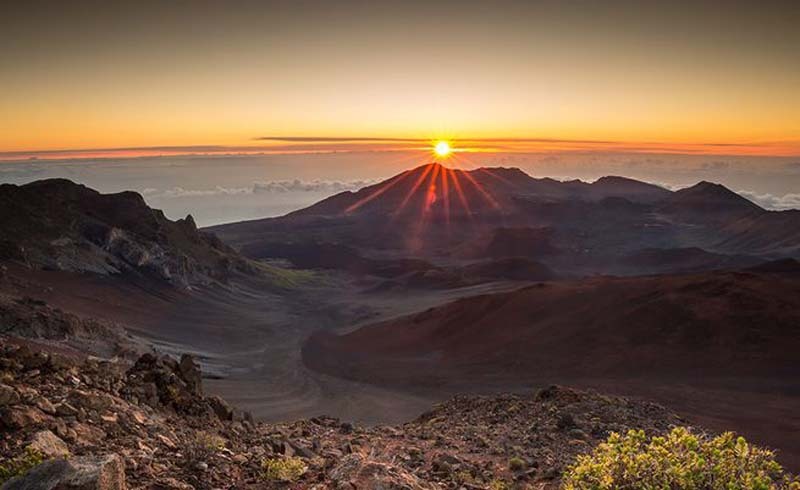 Haleakala National Park is a literal high point of a visit to Maui: rising 10,000 feet above sea level, it’s the world’s largest dormant volcano. (If you plan to go before 7 a.m. to watch the sunrise, be sure to make a reservation ahead of time.) Once you’ve gazed into the crater and taken in the views over the entire island, there’s plenty to explore in the otherworldly park filled with fascinating rock formations. Bring a jacket (it can be chilly up there) and stop at the ranger station as soon as you arrive for a free Junior Ranger Activity Booklet. Kids can complete the fun games based on sights around the park. Return to the ranger station when they’re done and they’ll be sworn in as Junior Rangers, complete with a plastic badge, the ultimate souvenir of a day up spent up in the clouds. 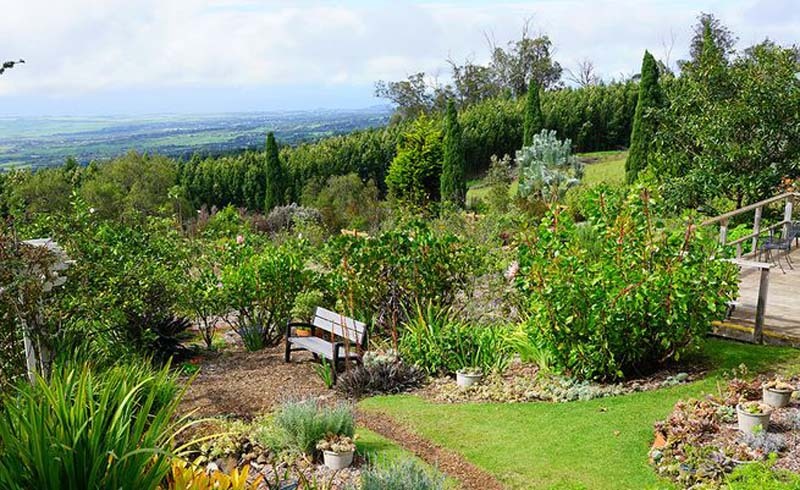 While you’re Up Country, amid the lush green slopes of Haleakala, visit the lovely and fragrant Alii Kula Lavender Farm. A free scavenger hunt will keep keikei (kids) busy wandering through the flowers and fruit trees — the reward for finishing is complimentary lavender cookies. Parents will love the gorgeous views and a relaxing stroll through the colorful grounds. Near the lavender garden is another Up Country family highlight: Surfing Goat Dairy. 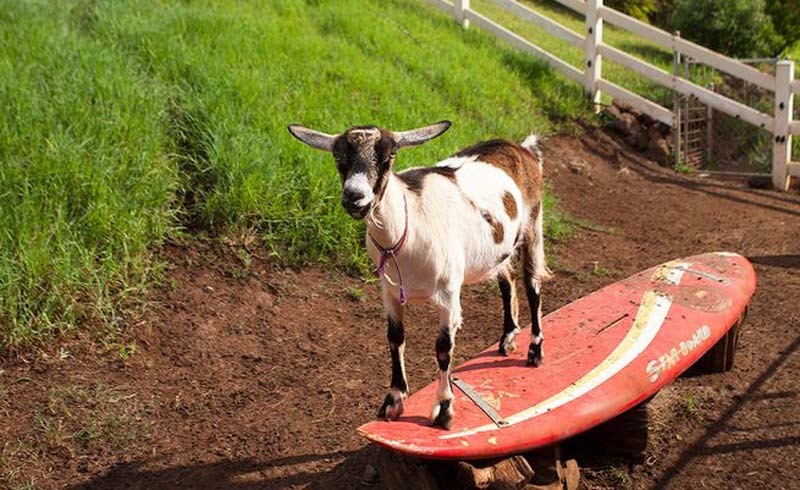 The goats don’t actually surf unfortunately, but you can feed and pet them, and even sign up for a late afternoon milking tour to really get hands on. 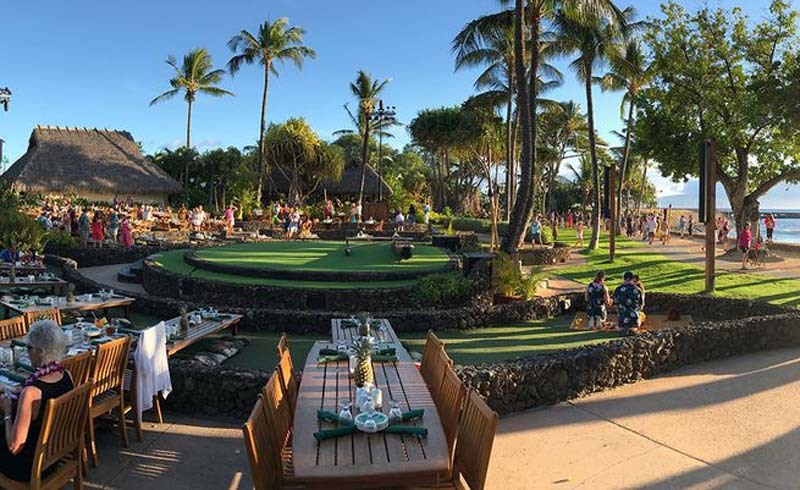 You’ll want to arrive early for the popular Old Lahaina Luau, when traditional artisans demonstrate crafts such as palm weaving and wood carving, and your family can learn how to hula and play traditional instruments. The luau kicks off with the unveiling of the kalua pig that roasts all day in an underground pit, then the night unfolds as the sun sets, with live musicians and dozens of costumed dancers. Expect a massive, all-inclusive buffet where you can sample local tastes such as poi, pork, and poke, plus kid-palate friendly items including fried rice and barbecued “Moa” chicken. 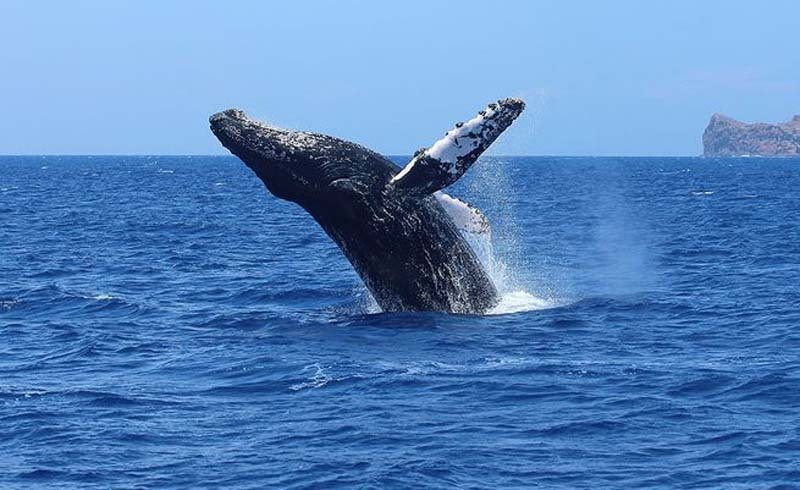 Hit the seas with the marine biologists at Pacific Whale Foundation during humpback whale season, November through April, when nearly 10,000 of the mammoth mammals travel from Alaska to mate and give birth in the warm Hawaiian waters. Spotting a car-size tail shooting out of the water or witnessing an acrobatic out-of-water breach is the kind of spectacle your kids will remember for a long while, and PWF even offers a Jr. Naturalist Program for kids on their sailings. 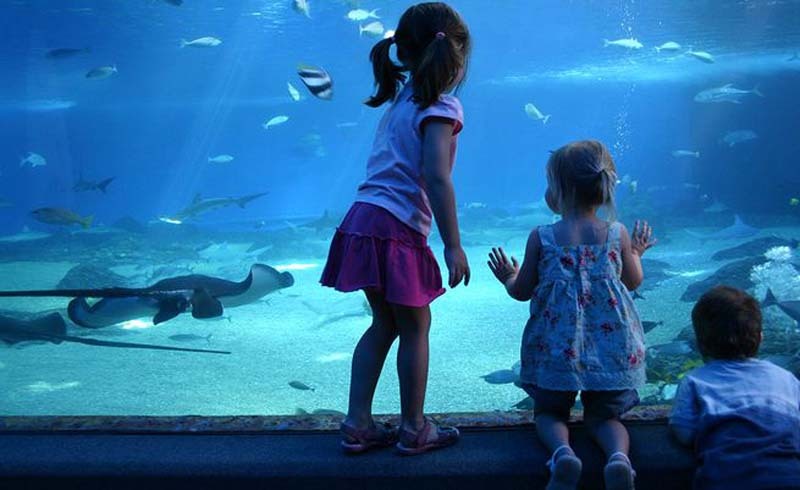 Are your kids not ready for a boat adventure but still want to see amazing sea life? The Maui Ocean Center has a colorful Living Reef exhibit where you can spot unique swimmers like Hawaii’s state fish, the humuhumu nukunuku apuaa. You can also see sea turtles, visit touch tanks, and walk through a 750,000 gallon tank filled with sharks. 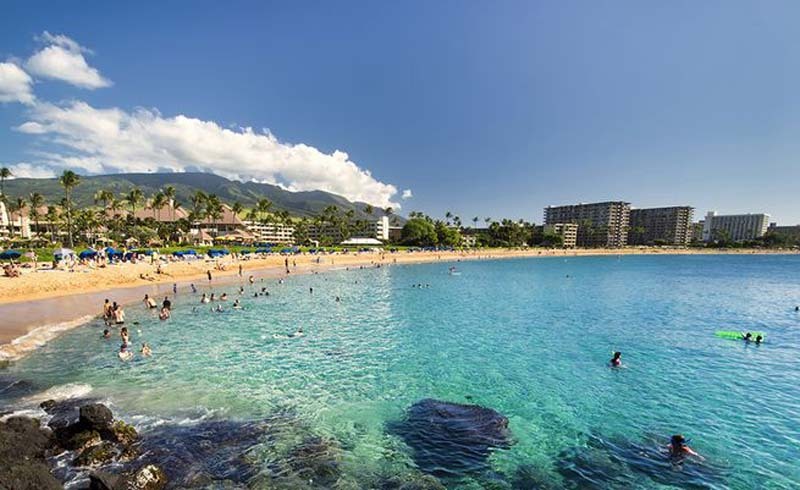 There’s a beach for every mood on Maui, and of them Kaanapali is a top spot for families, especially the section just south of Black Rock — a landmark where a torch is lit and a diver plunges into the sea at sunset every night. Rent snorkel equipment and within seconds you’ll spot tropical fish. Grab a bite to eat at the open-air Whaler’s Village shopping center that has access right from the beach walkway. Plan to stay in the quieter area of North Kaanapali, north of Black Rock, where the Westin Nanea Ocean Villas offers multi-bedroom suites with full kitchens and washer dryers, a fabulous lagoon pool, cultural activities, a kids club, and communal grills where you can make an easy stay-in dinner for the family. The historic town of Lahaina is filled with original buildings from the 1800s when it was a bustling whaling town. 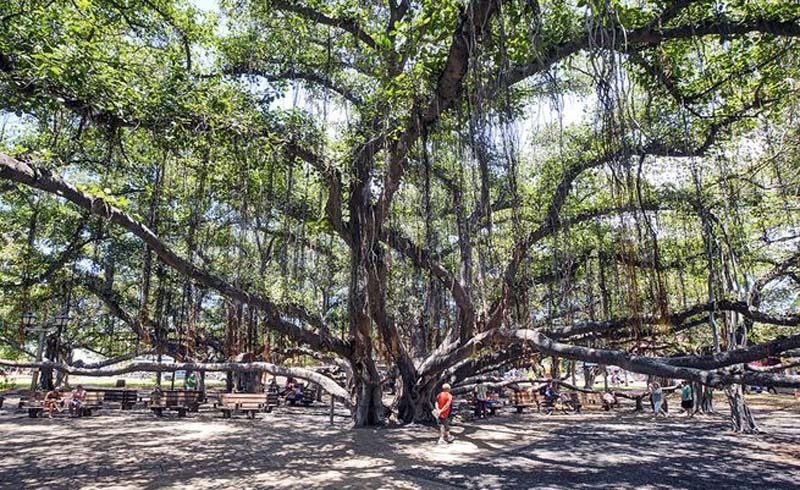 The biggest attention grabber for kids is the massive, 60-foot high banyan tree (the largest in the United States), which has branches that extend across an entire block. There’s always shade under the tree, making it the perfect spot to savor a tropical syrup-infused shave ice from one of the shops nearby. The Road to Hana is legendary: 50 miles of hairpin turns and one lane bridges that test a driver’s mettle, even without a car full of kids who might succumb to motion sickness. Instead of plunging down the entire drive, turn it into a road trip exploration that suits your family. Going just a third of the drive (less than an hour without stops), you can have lunch in the funky beach town of Paia (kids love the pizza at Flatbreads), watch the windsurfers at Hookipa Beach, feel the cooling spray at Twin Falls, take a mini hike at Waikamoi Ridge Trail, and stop to see the colorful painted eucalyptus and enjoy some fresh fruit at Garden of Eden. Then turn around and head back to the beach.